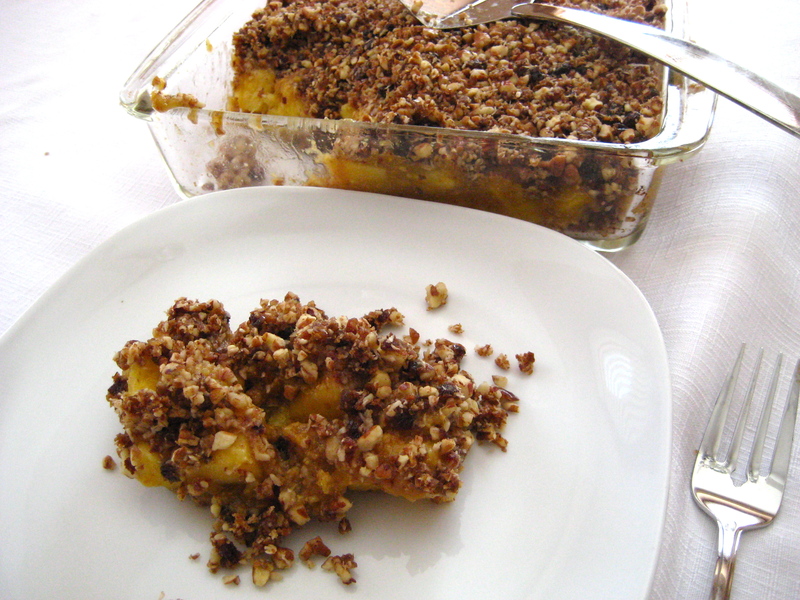 This raw recipe features nuts and dates as the primary components, added to fresh pineapple, and a quick no-bake process that makes dessert easily doable on hot summer days. Toss half the pineapple with the lemon juice and set aside. Put the other half of pineapple, dates, cinnamon, ground flaxseeds and reserved soaking water in a food processor. Process until smooth. Pour into a bowl and give the food processor a quick rinse and wipe. Put the pecans, coconut, cinnamon, and salt in the food processor. Pulse until the mixture is in small pieces. Add raisins and dates and continue to pulse until the mixture resembles coarse crumbs and starts to stick together. Don’t over process. 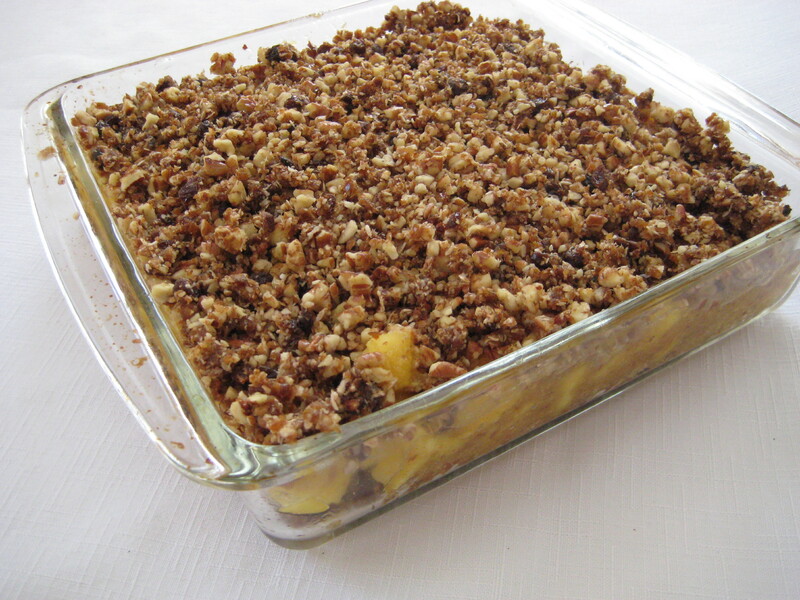 To assemble the crisp, press a few small scoops of the crumble into the bottom of an 8-inch square glass baking dish. Spread the pineapple evenly on top of it. Sprinkle with remaining crumble topping. Serve cold or at room temperature. Covered with plastic wrap in the refrigerator, it will keep for three to four days. Wow, what a good idea! I just don’t quite get where you go with the mix of pine apples, dates, cinnamon and flaxseed, do you pour it over the pine apple? You sprinkle it over top. Sorry for the confusion! Oh I see, underneath the crumble. Thanks!